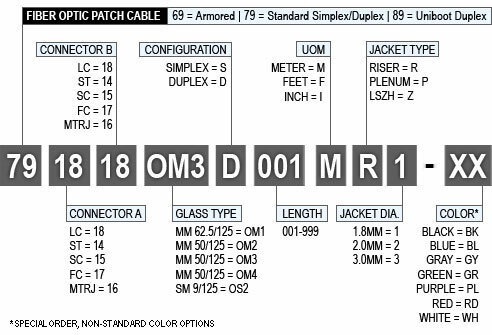 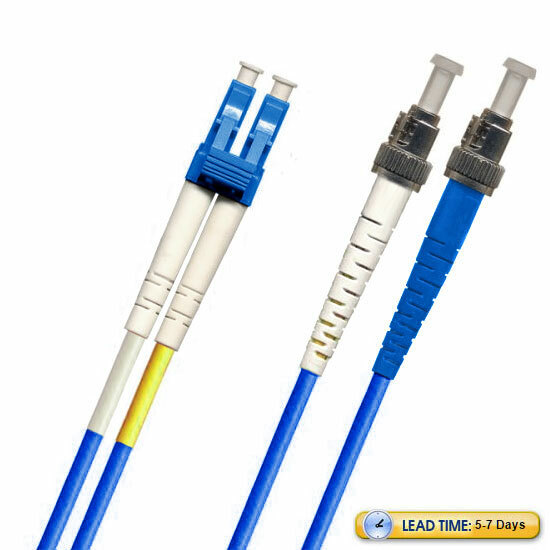 The LightWave ST-LC Multimode OM1 Fiber Optic Patch Cable is a viable high performance, low transmission loss and low cost solution. Take advantage of the affordability of the ST connector on one end, and the LC's pension for being a connector of choice for multimode Ethernet and Fibre Channel. 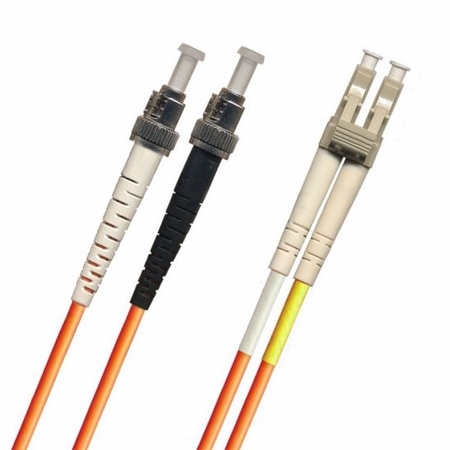 This duplex-configured multimode cable will enable you to send data over a 62.5/125 micron glass fiber 1Gbps link a distance of up to 300 meters at a wavelength of 850nm or a distance of up to 550 meters at a wavelength of 1300nm. For a 10Gbps link, you can transfer data a distance of up to 33 meters at an 850nm wavelength.